Join us for an opportunity to swim with blue whales off the Southern coast of Sri Lanka. This is a five day adventure seeking out blue whales and possibly sperm whales. Sri Lanka is the best place in the world to encounter these animals in their natural habitat. 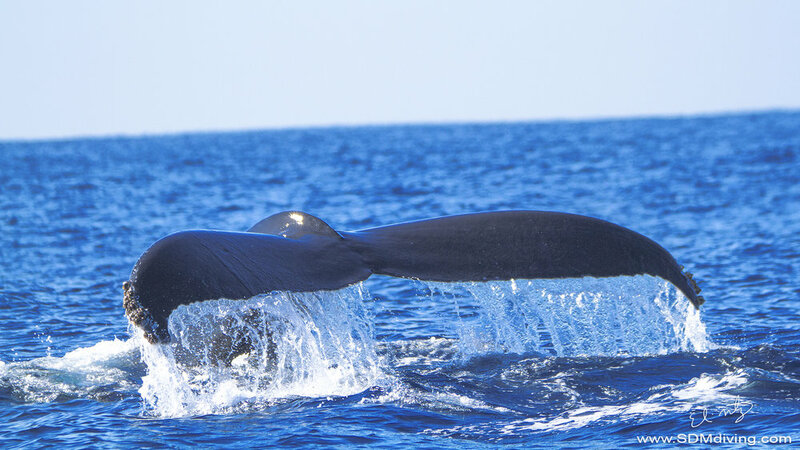 The waters off Sri Lanka are rich in a variety of life-giving nutrients that are brought up from the oceanic depths, especially krill, which feed on these nutrients, and the Blue Whales feed on the krill, which is why these big whales arrive here in big numbers. Day 1 - You arrive at the Bandaranayake International (Colombo) airport (CMB), where we put you up in a hotel for the evening. Day 2 - We pick you up from the hotel, in the early morning and drive you 3 1/2 hours to the coastal town of Mirissa, where we check you into your hotel, where you will stay for the week. Day 3 - 7 - We head out every morning (weather dependent) and search for blue whales and sperm whales. These will be long days at sea in search of the blue whales. Day 8 - We return you to the airport for your journey home. Thank you for your interest in our blue whale expedition, we will send you more information on the trip ASAP. Sign up with your email address to receive news and updates about trips and merchandise.